Hi ASOD community, ships this globular cluster of this last observation. 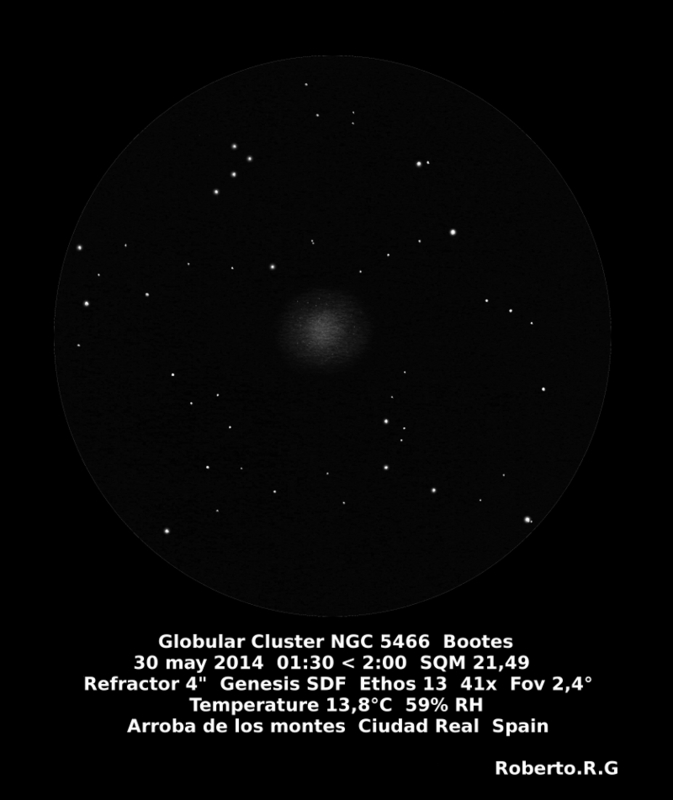 This provides for cluster not be brilliant, but it is very nice in a dark sky, you can solve some timid stars inside. The nucleus is large, has a lot of intensity in comparison with the rest of cluster light but does see clearly, averted vision helps to solve all these details mentioned. Even for a small scope makes a treat for your senses. Media : Graphite pencil, digital tools, Gimp. I’m very inspired by this sketch and my heart is bitting while seeing the cluster. Impressive sketch! Look at the details in the center of the cluster. Beautifully sketched also, did you correct it digitally? Stella thanks for your comments, inspires me to continue working in the sky, like other people do and share their work in this fantastic community. Erik, thanks for your comments, just scan some stars to make it look like the sketch, since the scan loses some definition and Gimp 2.8 give some intensity. The cluster is as it outlines the technique to do this with a 2H tortillions and soft graphite mark where I observe there is actually a star in the cluster, but make very soft, almost as if you were at the eyepiece.